another member of Global Matrix Mailer. 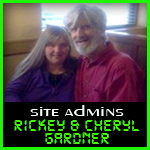 reach Cheryl on Skype at cherylgardner777. Graphics by DDSuperNetworks Viral Mailer & Desgins, Get Yours Now!